Ascent of Muhammad to Heaven (ca. 1539–1543), from the Khamseh of Nizami. The Isra and Mi'raj (Arabic: الإسراء والمعراج‎, al-’Isrā’ wal-Mi‘rāj) are the two parts of a Night Journey that, according to Islam, the Islamic prophet Muhammad took during a single night around the year 621. Within Islam it signifies both a physical and spiritual journey. The Quran surah al-Isra contains an outline account, while greater detail is found in the hadith collections of the reports, teachings, deeds and sayings of Muhammad. In the accounts of the Isra’, Muhammad is said to have traveled on the back of a winged mule-like white beast, called Buraq, to "the farthest mosque". By tradition this mosque, which came to represent the physical world, was identified as the Al-Aqsa Mosque in Jerusalem. At the mosque, Muhammad is said to have led the other prophets in prayer. His subsequent ascent into the heavens came to be known as the Mi‘raj. Muhammad's journey and ascent is marked as one of the most celebrated dates in the Islamic calendar. The events of Isra and Mi'raj mentioned briefly in the Qur'an are further enlarged and interpreted within the supplement to the Qur'an, the literary corpus known as hadith, which contain the reported sayings of Muhammad. Two of the best hadith sources are by Anas ibn Malik and Ibn 'Abbas. Both were young boys at the time of Muhammad's journey of Mi'raj. Within the Qur'an, surat al-Isra (chapter 17), contains a brief description of Isra in the first verse. Some scholars[who?] say a verse in surah an-Najm, also holds information on the Isra and Mi'raj. When there covered the lote-tree that which covered it. The neither veered nor overreached. Thought to be referred to in the Quran as "The farthest mosque", al-Aqsa is considered the third holiest Islamic site, after Mecca and Medina. From the tradition of Ibn Ishaq (ca. 704 - 761/770), the earliest biographer of Muhammad (ca. 570 - 632), the reference in the Qur'an to "the Farthest Masjid" (Arabic: المسجدِ الأقصى‎, al-Masjidi 'l-’Aqṣá), from surat al-Isra, has been interpreted to mean the site of the al-Aqsa Mosque in Jerusalem. Numerous ahadith (plural of hadith) support this interpretation. The Masjid in Jerusalem was built after Muhammad's lifetime, and the term used for mosque (masjid (Arabic: مَـسْـجِـد‎)) literally means "Place of prostration," and includes monotheistic places of worship, but does not lend itself exclusively to physical structures but a location, as Muhammad stated "The earth has been made for me (and for my followers) a place for praying." Therefore, the phrase "Al-Masjidil-Aqsa" means that there was a place, but not necessarily a building, where Muhammad prostrated to God or worshipped Him, in the "Blessed Region." When the Rashid caliph ‘Umar conquered Jerusalem after Muhammad's death, a prayer house was rebuilt on the site. The structure was expanded by the Umayyad caliph ‘Abd al-Malik ibn Marwan and finished by his son al-Walid I in 705. The building was repeatedly destroyed by earthquakes and rebuilt, until the reconstruction in 1033 CE, by the Fatimid caliph ‘Ali az-Zahir, and that structure stands to the present day. And thus we have made you a just community that you will be witnesses over the people and the Messenger will be a witness over you. And We did not make the qiblah which you used to face except that We might make evident who would follow the Messenger from who would turn back on his heels. And indeed, it is difficult except for those whom Allah has guided. And never would Allah have caused you to lose your faith. Indeed Allah is, to the people, Kind and Merciful. We have certainly seen the turning of your face, [O Muhammad], toward the heaven, and We will surely turn you to a qiblah with which you will be pleased. So turn your face toward al-Masjid al-Haram. And wherever you [believers] are, turn your faces toward it [in prayer]. Indeed, those who have been given the Scripture well know that it is the truth from their Lord. And Allah is not unaware of what they do. From various hadiths we learn much greater detail. The Isra is the part of the journey of Muhammad from Mecca to Jerusalem. It began when Muhammad was in the Great Mosque, and the Archangel Jibrīl (or Jibrāʾīl, Gabriel) came to him, and brought Buraq, the traditional heavenly mount of the prophets. Buraq carried Muhammad to al-Aqsa Mosque, the "Farthest Mosque", in Jerusalem. Muhammad alighted, tethered Buraq to the Temple Mount and performed prayer, where on God's command he was tested by Gabriel. It was told by Anas ibn Malik that Muhammad said: "Jibra'il brought me a vessel of wine, a vessel of water and a vessel of milk, and I chose the milk. Jibra'il said: 'You have chosen the Fitrah (natural instinct).'" In the second part of the journey, the Mi'raj (an Arabic word that literally means "ladder"), Jibra'il took him to the heavens, where he toured the seven stages of heaven, and spoke with the earlier prophets such as Abraham (ʾIbrāhīm), Moses (Musa), John the Baptist (Yaḥyā ibn Zakarīyā), and Jesus (Isa). Muhammad was then taken to Sidrat al-Muntaha – a holy tree in the seventh heaven that Gabriel was not allowed to pass. According to Islamic tradition, God instructed Muhammad that Muslims must pray fifty times per day; however, Moses told Muhammad that it was very difficult for the people and urged Muhammad to ask for a reduction, until finally it was reduced to five times per day. There are different accounts of what occurred during the Mi‘raj, but most narratives have the same elements: Muhammad ascended into heaven with the angel Gabriel and met a different prophet at each of the seven levels of heaven; first Adam, then John the Baptist and Jesus, then Joseph, then Idris, then Aaron, then Moses, and lastly Abraham. After Muhammad meets with Abraham, he continues on to meet God without Gabriel. God tells Muhammad that his people must pray 50 times a day, but as Muhammad descends back to Earth, he meets Moses who tells Muhammad to go back to God and ask for fewer prayers because 50 is too many. Muhammad goes between Moses and God nine times, until the prayers are reduced to the five daily prayers, which God will reward tenfold. That again, Moses told Muhammad to ask for even lesser but Muhammad felt ashamed and said that even with lesser prayer times, his followers might not even perform diligently and said he is thankful for the five. Al-Tabari is a classic and authentic source for Islamic research. His description of the Mi’raj is just as simplified as the description given above, which is where other narratives and hadiths of the Mi’raj stem from, as well as word of mouth. While this is the simplest description of the Mi’raj, others include more details about the prophets that Muhammad meets. In accounts written by Muslim, Bukhari, Ibn Ishaq, Ahmad b. Hanbal and others, physical descriptions of the prophets are given. Adam is described first as being Muhammad's father, which establishes a link between them as first and last prophets. Physical descriptions of Adam show him as tall and handsome with long hair. Idris, who is not mentioned as much as the other prophets Muhammad meets, is described as someone who was raised to a higher status by God. Joseph, is described as the most beautiful man who is like the moon. 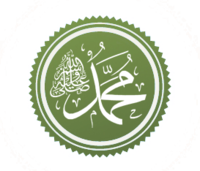 His presence in the Mi’raj is to show his popularity and how it relates to Muhammad's. Aaron is described as Muhammad's brother who is older and one of the most beautiful men that Muhammad had met. Again, the love for Aaron by his people relates to Muhammad and his people. Abraham is described with likeness to Muhammad in ways that illustrate him to be Muhammad's father. Jesus is usually linked to John the Baptist, who is not mentioned much. The physical descriptions of Jesus vary, but he is said to be tall with long hair and either red or white skin. Moses is different than the other prophets that Muhammad meets in that Moses stands as a point of difference rather than similarities. Some narratives also record events that preceded the heavenly ascent. Some scholars believe that the opening of Muhammad's chest was a cleansing ritual that purified Muhammad before he ascended into heaven. Muhammad's chest was opened up and water of Zamzam was poured on his heart giving him wisdom, belief, and other necessary characteristics to help him in his ascent. This purification is also seen in the trial of the drinks. It is debated when it took place—before or after the ascent—but either way it plays an important role in determining Muhammad's spiritual righteousness. Many Muslim scholars like Saeed bin Khalfan Alkhalili, Nasir Kharousi, Farqad Alqazwini and Zakariya bin Khalifa Almahrami rejected the story of Mi'raj for not being mentioned in the Quran. Ibn ‘Abbas' Primitive Version narrates all that Muhammad encounters throughout his journey through heaven. This includes seeing other angels, and seas of light, darkness, and fire. With Gabriel as his companion, Muhammad meets four key angels as he travels through the heavens. These angels are the Rooster angel (whose call influences all earthly roosters), Half-Fire Half-Snow angel (who provides an example of God's power to bring fire and ice in harmony), the Angel of Death (who describes the process of death and the sorting of souls), and the Guardian of Hellfire (who shows Muhammad what hell looks like). These four angels are met in the beginning of Ibn ‘Abbas' narrative. They are mentioned in other accounts of Muhammad's ascension, but they are not talked about with as much detail as Ibn ‘Abbas provides. As the narrative continues, Ibn Abbas focuses mostly on the angels that Muhammad meets rather than the prophets. There are rows of angels that Muhammad encounters throughout heaven, and he even meets certain deeply devoted angels called cherubim. These angels instill fear in Muhammad, but he later sees them as God's creation, and therefore not harmful. Other important details that Ibn ‘Abbas adds to the narrative are the Heavenly Host Debate, the Final Verses of the Cow Chapter, and the Favor of the Prophets. These important topics help to outline the greater detail that Ibn ‘Abbas uses in his Primitive Version. Some debates that Ibn ‘Abbas' narrative brings about have to do with his description of Muhammad's encounter with God. Ibn ‘Abbas illustrates God as anthropomorphed being who touches and speaks to Muhammad as a human would. This is seen as an abomination and thus takes away Ibn ‘Abbas's authenticity. In an attempt to reestablish Ibn ‘Abbas as authentic, it seems as though a translator added the descent of Muhammad and the meeting with the prophets. The narrative only briefly states the encounters with the prophets, and does so in a way that is in chronological order rather than the normal order usually seen in ascension narratives. Ibn ‘Abbas may have left out the meeting of the prophets and the encounter with Moses that led to the reduction of daily prayers because those events were already written elsewhere. Whether he included that in his original narrative or if it was added by a later translator is unknown, but often a point of contention when discussing Ibn ‘Abbas's Primitive Version. The Lailat al-Mi'raj (Arabic: لیلة المعراج‎, Lailatu 'l-Miʿrāj), also known as Shab-e-Mi'raj (Urdu: شب معراج‎, Šab-e Mi'râj, Persian: شب معراج‎, Šab-e Mi'râj) in Iran, Pakistan, India and Bangladesh, and Miraç Kandili in Turkish, is the Muslim holiday celebrating the Isra and Miʿraj. Some Muslims celebrate this event by offering optional prayers during this night, and in some Muslim countries, by illuminating cities with electric lights and candles. The celebrations around this day tend to focus on every Muslim who wants to celebrate it. Worshippers gather into mosques and perform prayer and supplication. Some people may pass their knowledge on to others by telling them the story on how Muhammad's heart was purified by the archangel Gabriel, who filled him with knowledge and faith in preparation to enter the seven levels of heaven. After salah, food and treats are served. Al-Aqsa Mosque marks the place from which Muhammad is believed to have ascended to heaven. The exact date of the Journey is not clear, but is celebrated as though it took place before the Hegira and after Muhammad's visit to the people of Ta'if. It is considered by some to have happened just over a year before the Hijrah, on the 27th of Rajab; but this date is not always recognized. This date would correspond to the Julian date of 26 February 621, or, if from the previous year, 8 March 620. In Twelver Iran for example, Rajab 27 is the day of Muhammad's first calling or Mab'as. The al-Aqsa Mosque and surrounding area, marks the place from which Muhammad is believed to have ascended to heaven, is the third-holiest place on earth for Muslims. Many sects and offshoots belonging to Islamic mysticism interpret Muhammad's night ascent – the Isra and Mi'raj – to be an out-of-body experience through nonphysical environments, unlike the Sunni Muslims or mainstream Islam. The mystics claim Muhammad was transported to Jerusalem and onward to the Seven Heavens, even though "the apostle's body remained where it was." Esoteric interpretations of the Quran emphasise the spiritual significance of Miʿraj, seeing it as a symbol of the soul's journey and the potential of humans to rise above the comforts of material life through prayer, piety and discipline. ^ Martin, Richard C.; Arjomand, Saïd Amir; Hermansen, Marcia; Tayob, Abdulkader; Davis, Rochelle; Voll, John Obert, eds. (2 December 2003). Encyclopedia of Islam and the Muslim World. Macmillan Reference USA. p. 482. ISBN 978-0-02-865603-8. ^ Colby, Frederick S. (2008). Narrating Muhammad's Night Journey: Teaching the Development of the Ibn 'Abbas Ascension Discourse. Albany: State University of New York Press. ISBN 978-0-7914-7518-8. ^ Heribert Busse, "Jerusalem in the Story of Prophet Muhammad's (SAW) Night Journey and Ascension," Jerusalem Studies in Arabic and Islam 14 (1991): 1–40. ^ N. Robinson, Discovering The Qur'ân: A Contemporary Approach To A Veiled Text, 1996, SCM Press Ltd.: London, p. 192. ^ "Surat Al-Baqarah [2:143-144] - The Noble Qur'an - القرآن الكريم". quran.com. ^ Momina. "isra wal miraj". chourangi. Archived from the original on 15 June 2012. Retrieved 16 June 2012. ^ Mahmoud, Omar (25 April 2008). "The Journey to Meet God Almighty by Muhammad—Al-Isra". Muhammad: an evolution of God. AuthorHouse. p. 56. ISBN 978-1-4343-5586-7. Retrieved 27 March 2011. ^ al-Tabari (1989). The History of al-Tabari volume VI: Muhammad at Mecca. State University of New York Press. ISBN 0-88706-706-9. ^ a b c Vuckovic, Brooke Olsen (2005). Heavenly Journeys, Earthly Concerns: The Legacy of the Mi'raj in the Formation of Islam. Routledge. ISBN 0-415-96785-6. ^ a b Colby, Frederick S (2008). Narrating Muhammad's Night Journey: Tracing the Development of the Ibn 'Abbas Ascension Discourse. State University of New York Press. ISBN 978-0-7914-7518-8. ^ "BBC - Religions - Islam: Lailat al Miraj". bbc.co.uk. ^ "WRMEA - Islam in America". Washington Report on Middle East Affairs. ^ Jonathan M. Bloom; Sheila Blair (2009). The Grove encyclopedia of Islamic art and architecture. Oxford University Press. p. 76. ISBN 978-0-19-530991-1. Retrieved 26 December 2011. Colby, Frederick, "Night Journey (Isra & Mi'raj), in Muhammad in History, Thought, and Culture: An Encyclopedia of the Prophet of God (2 vols. ), Edited by C. Fitzpatrick and A. Walker, Santa Barbara, ABC-CLIO, 2014, Vol II, pp. 420–425. Wikimedia Commons has media related to Isra and Mi'raj.